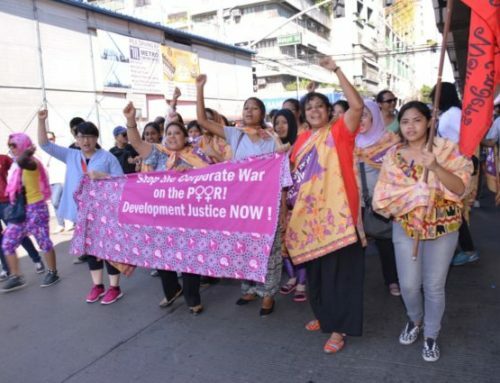 Women’s groups from Asia Pacific are deeply concerned about the bill passed by the Government of Poland that will prevent any ‘spontaneous’ public gathering of climate groups during COP24 and subject human rights defenders to state-led surveillance including access and storing all personal information. The Bill initiated by the government of Poland is setting a dangerous precedent that undermines human rights and fundamental freedoms, particularly including the right to freedom of peaceful assembly, association and of speech, and the right to privacy in the context of digital technologies, multilateral process, and the role and importance of peoples’ organisations in fighting climate change. Civil Society present at a pre-COP 24 session in September in Bangkok asked the Polish government about the bill and the right to peaceful assembly. “When asked at the Inter-sessions, the incoming Polish presidency responded that the Bill was enacted to solicit funding support for the COP24. This basically means that the global climate negotiations is resourced by the groups who want to suppress democratic and peaceful civil society organising. 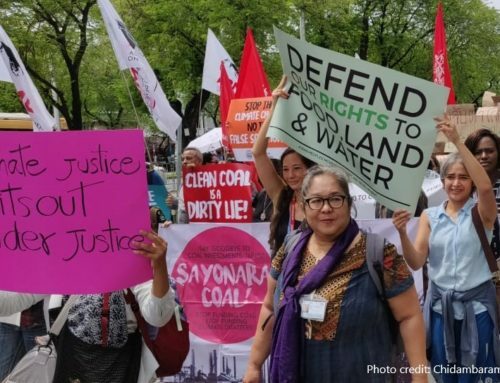 In addition, tying this Bill to the visa application process is fundamentally discriminatory against women human rights and environmental defenders from the Global South who are most affected by climate change. 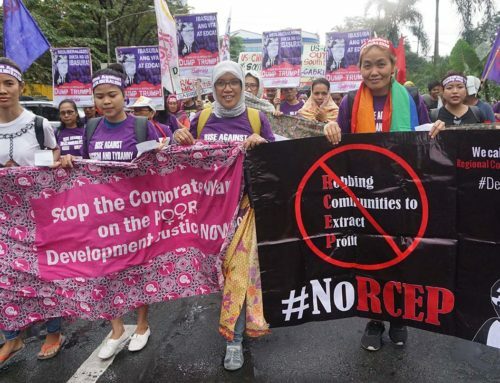 Global solidarity is required to resist this tactic of oppression” said Misun Woo, Regional Coordinator, Asia Pacific Forum on Women, Law and Development, Thailand. The UN’s decision of working with oppressive governments like Poland violates the Paris Convention, UN principles on human rights and European Union’s Aarhus Convention and enables the increasing threats to environment and human rights defenders and shrinking civil society spaces. In a letter sent by APWLD to UNFCCC this month, we raised security and personal safety concerns that will be faced by civil society. The Polish government has still not disclosed what data will be screened and what will be labelled ‘spontaneous demonstration or gathering’. 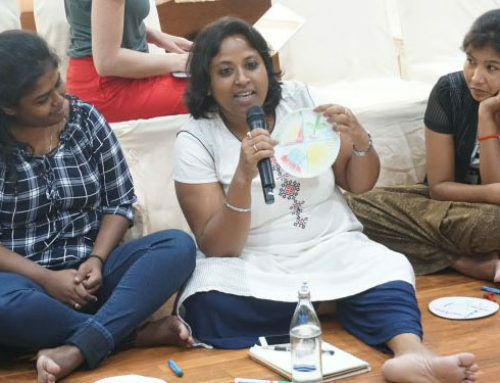 With previous experience of facing immigration screening and policing of civil society in COP19 Warsaw and the current provisions of Bill that subject everyone to undisclosed State surveillance, it is a grave concern for women from the Global South on personal and organisation levels who will likely to be subjected to such scrutiny.